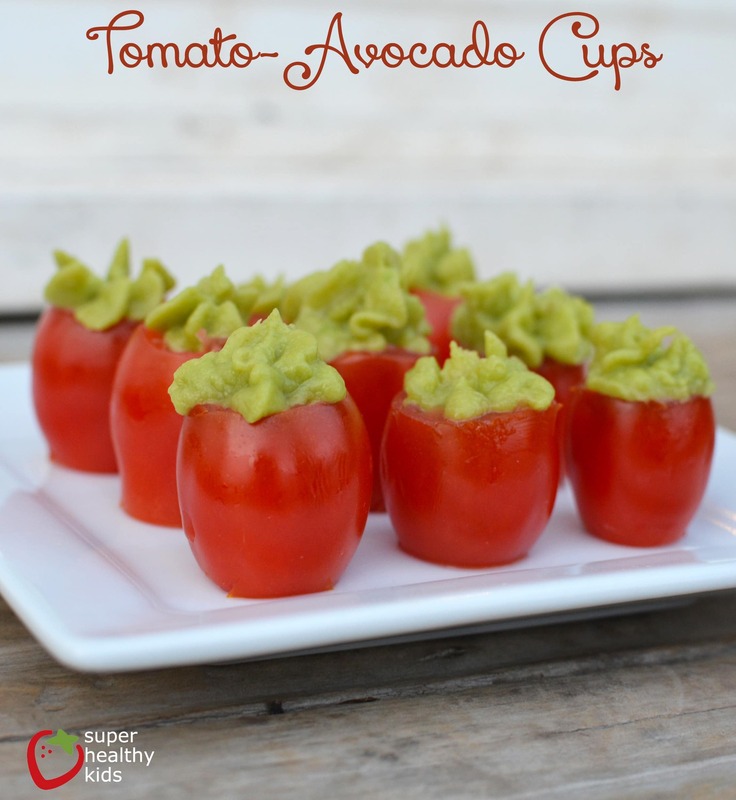 Whether you are looking for an after school snack, or a healthy appetizer for a party, this recipe for Tomato – Avocado Cups can double as both! The best part, no baking involved! 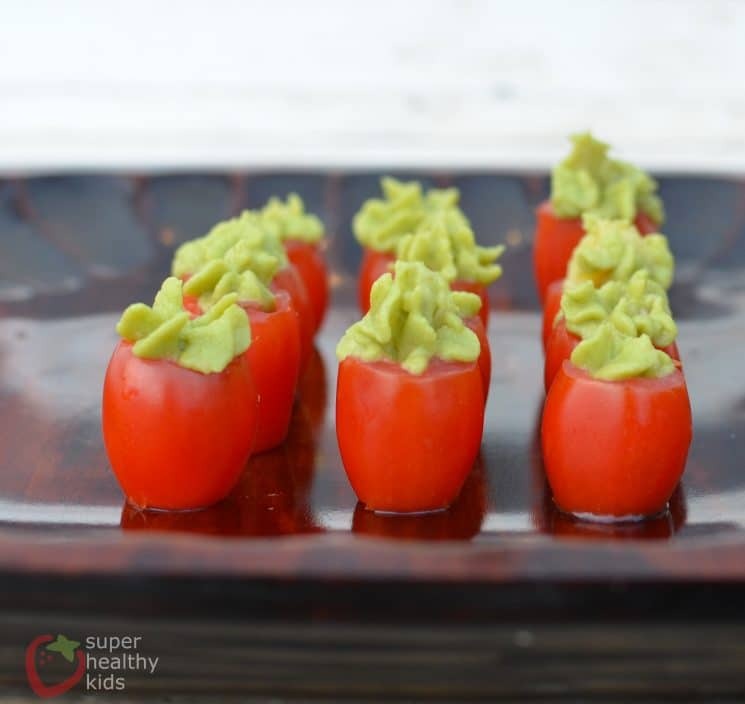 Can avocado’s be a more perfect food for kids? We love avocados! 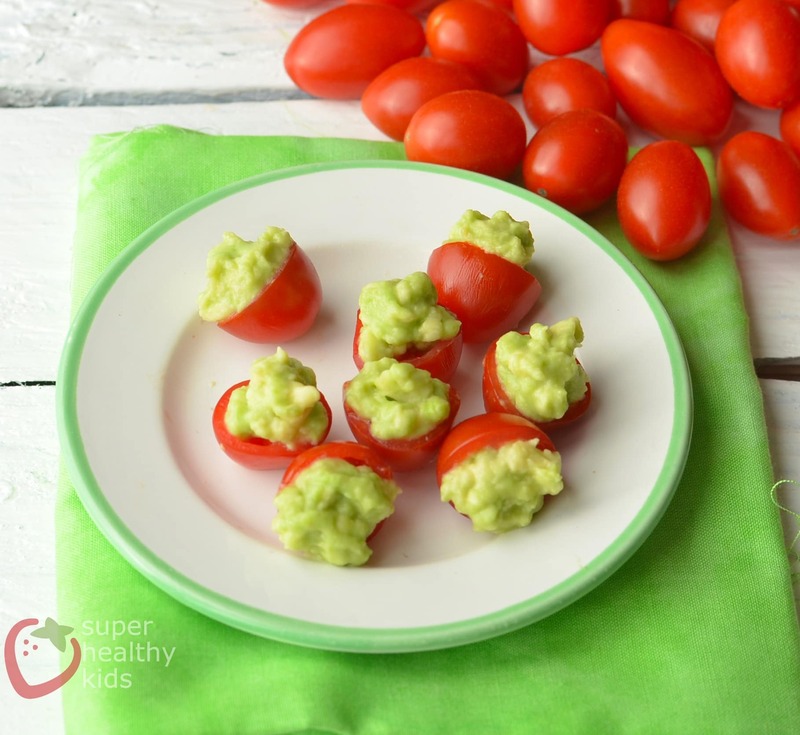 Avocados are creamy, delicious, and easy for babies and toddlers to eat. Avocados are a great source of fiber 14 grams per avocado! Avocados have literally been proven to be anti-inflammatory! With phytosterols, anti-oxidants, and omega 3 fatty acids, inflammation doesn’t stand a chance! You can purchase pre-made guacamole, jusst check the ingredients to verify it has ingredients you can pronounce! Or make your own guacamole by mashing the flesh of an avocado with some salt and lime juice. The smoother your guacamole is, the easier it will be to squeeze through a piping bag. 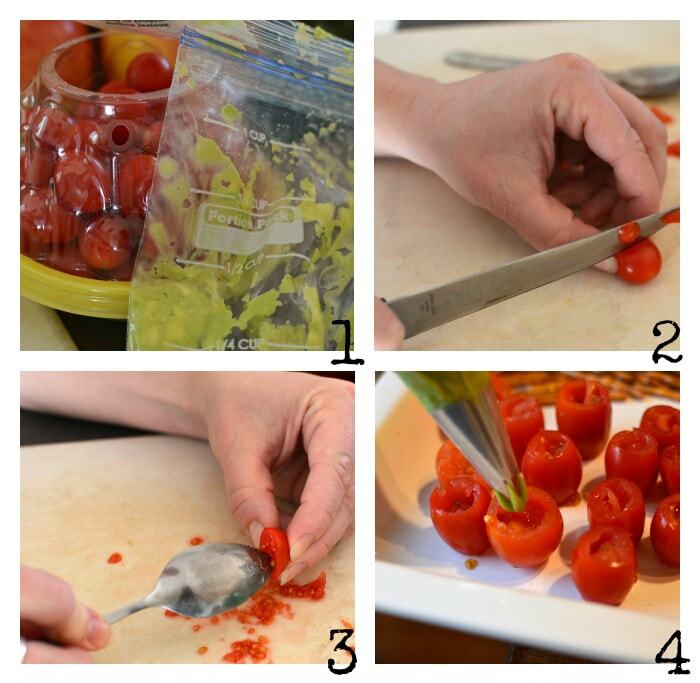 Sliced some of tomatoes in half, and others, we just sliced the top off. Made a small slice off the bottom for the tomatoes we wanted to stand straight up. Scooped the seeds out of the tomato. Filled a sandwich bag with guacamole, and cut a small corner off to fill the cavity with the guacamole. 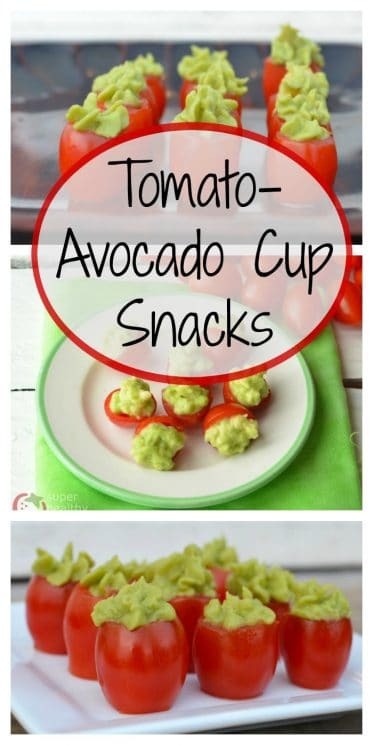 If you are bringing these to a party, you can use a piping tip to make the guacamole more decorative! And that’s it! Once you get the hang of it, these are quite quick and easy to make. And look at those colors! So festive for any holiday party tray!